I’ve been a graphic designer for over 10 years now. In that time, I’ve had to explain what I do a countless number of times, and gotten a wide range of responses and reactions. 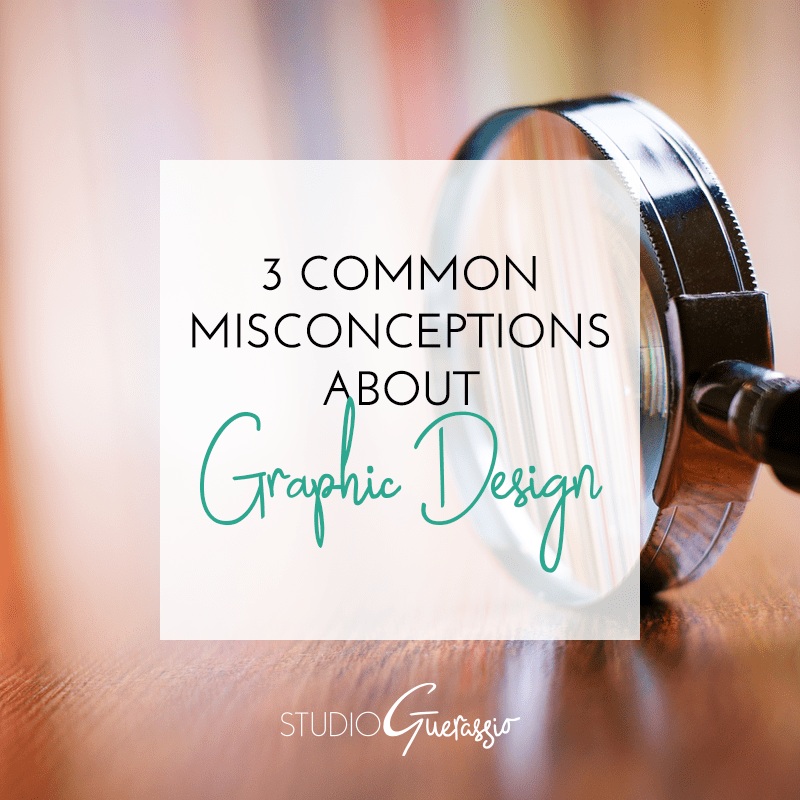 Certain misconceptions about design have cropped up again and again. So I’d like to take a moment to address a few of the most common ones here. This is the misconception I run across most often. The problem at the heart of this idea is that design doesn’t have to be traditionally ‘pretty’ to be good design or design that works. The specifics of a project – its goals and audience – might call for something completely different. The intent might be to shock, or intrigue, rather than to just be visually pleasing to some arbitrary majority. In other words, design has a purpose that goes beyond surface visuals. I wrote a whole post about this recently, but basically it comes down to this (to paraphrase what Steve Jobs said): design is not just about how it looks, it’s about how it works and what it’s saying. ‘Design’ is a very broad term, and there are lots of sub-fields that fall under it, each with their own specialty. Just like you can’t go to any person with Dr. in front of their name and expect them to specialize in exactly what you need medical help with, the same idea holds true in design. Graphic design is not the same thing as illustration, or calligraphy, or web programming. Someone who designs fonts for a living probably is not the same someone who can build you a mobile app. A web designer may have no clue how to set up files for letterpress printing. An illustrator who does character portraits probably is not the same person who can typeset and lay out your book’s pages for you. These are all different skill sets. It’s not uncommon to have some slight overlap, especially if the sub-fields are related (example: I do both print design and web design, as they each relate to branding). But, depending on what exactly you need, you may need more than one professional to help you out with different parts of your project. At the very least, you need to be aware that ‘design’ is not a one-size-applies-to-all field. This is probably the misconception that frustrates me the most. Listen. Creativity is not a magic wand. Design work is still hard, time-consuming work. When was the last time you took an idea that only existed in your head and made it a real, visual, finished thing? Now add in coming up with that solid of an idea in the first place. And then add in making sure it actually works for the goals and audience of your client. And add in the budget realities of your client if it’s something that needs production or printing. Does that sound easy? No. And this doesn’t even take into account the technical know-how that takes years to develop, and is constantly being added to. So next time your instinct is to dismiss design as ‘not a real job’ or ‘something anyone with Photoshop can do,’ take a second to recognize how much unseen work goes into that finished design. Honestly, this post could’ve gone much longer, there are that many misconceptions about what I do for a living. But the above 3 are by far the ones I have to deal with most often. Have you fallen prey to any of the above? Are there common misconceptions about your job or industry? My students come out with assumptions like this all the time. They also think because they can use Photoshop that they’re designers. Another student left one of our courses because we were trying to teach her the principle of design, but she just wanted to learn software skills. Too many people think learning how to use the software is the same as learning how to design, but that’s like assuming learning to use a sewing machine will turn you into Vivienne Westwood. Oh yeah. That’s another one I run into all of the time. Owning Photoshop (and even knowing how to use it) does not make you a designer. But man I wish buying a sewing machine had turned me into Vivienne Westwood! !